Birds and other wildlife are disappearing from areas that are saturated with 4G “non-ionizing” radiation. The horrific manmade frequencies emanating from our devices are literally killing innocent living creatures or causing them to flea en masse. Mankind is next. No life form will be able to withstand 5G for any amount of time. It’s presence in our world is a genocidal, murderous attack against Creation. If mankind does not rise up against the luciferian forces behind this, there is no hope for our future or for our children. This is the most serious attack they could have ever conjured up and there is no longer a place for willful ignorance of apathy. The time is NOW to take a stand against this evil and do whatever we can to rid our world of the creatures responsible for it for good. All evil must go. We can no longer tolerate its presence in our world and we can no longer be willing to co-exist with it. It must go. The beings responsible for this MUST GO! My husband and I have been avid birdwatchers for more than twenty years. During that time we have travelled extensively throughout Greece watching birds, and have made many trips to the north of the country. We own a rural property on Samos where, since 1979, neither we nor our neighbors use pesticides, and where we strive to maintain a bird-friendly habitat. In the winter of 2016-2017, my husband and I realized that all the birds in the vicinity of local cell towers on the island of Samos had disappeared. In fact, numbers had been steadily falling since the island’s wireless networks had been upgraded to 4G in late 2014. As no other local environmental factors had changed, we wondered whether the wireless signals were to blame. After doing a lot of research, we concluded that the electromagnetic radiation from the cell towers and from local Wi-Fi was probably responsible for the birds’ disappearance. We wondered if bird populations were also declining in other parts of the country. In the spring of 2017, my husband and I spent over two months (April through mid-June) visiting the important birding sites of northern Greece including Lake Kerkini, Lake Ismarida, the Nestos Delta, the Evros Delta, Dadia and the Prespa Lakes. We have spent considerable time in these areas in the past decade and we know them well. We observed one significant change since our last visit in 2014. Many new cell towers have been installed and wireless coverage has increased exponentially. Highway corridors and major towns are now 4G/4G+, as are many beach resorts. In other vicinities which are still 3G, there are only a few areas with poor or no coverage. These are due primarily to Greece’s mountainous terrain. We saw far fewer birds on this trip than on any other visit to the north of Greece. In some areas like the Nestos Delta, Porto Lagos, Lake Ismarida and the Evros Delta, there are virtually no birds at all. Most of the birds we did see congregated in areas of weak or no reception. Our observations suggest that small birds are more affected by ambient cell tower electromagnetic radiation levels than larger birds, and there were nowhere near as many warblers, finches and small waders as we would have expected to see based on past experience and birder guide book entries. Some species of bird were entirely absent, or represented by just one or two birds. Birds in the crow family, gulls and pigeons seemed to be the least affected. The Hellenic Ornithological Society says that unusually large numbers of crows points to an imbalance in the ecosystem. Many larger birds also seemed to be profoundly affected by electromagnetic radiation from cell towers. Owls, nightjars, spoonbills and glossy ibis were scarce; the Egyptian vulture is on the verge of extinction. Some of the birds that are scarcest migrate across the Mediterranean, where many islands are 4G, or up the coast of Turkey, which is all 4.5G. Studies show electromagnetic radiation from wireless communications can disrupt bird migration as well as cause biological effects that may directly or indirectly kill them through a variety of mechanisms, including reproductive failure. Fatal biological effects may be more likely to occur when birds are under stress during migration. At Lake Kerkini, scientists at the bird center have fought to reduce electromagnetic radiation levels from the new cell towers. These towers (still 3G) now operate at 85% signal strength. There are more birds at Lake Kerkini than almost anywhere else. The Prespa Lakes are also 3G. These towers operate at full signal strength, but there are fewer of them due to these lakes’ isolated position and tiny population. There are also more birds at these lakes. In addition to a lack of birds, we were struck by the many dead and dying trees we saw on our way. Lake Kerkini and the Prespa Lakes did not have dying trees. In other areas, especially east of Kavala towards Alexandroupolis, more than a third of mature pine forests look to have died very recently, as the trees were still covered in reddish-brown needles. It is not only pines which are affected. We saw dead trees of almost every type: cypress, olive, poplar, oak, juniper, pine, fir, eucalyptus and others. The damage is not limited to northern Greece. There were dying trees and plants all along all the highway corridors as far south as Athens. Highway corridors have higher wireless radiation levels due to cell towers lining the highways, as well as cellphones in cars and GPS and other tracking systems integral to many new cars. When we returned to Samos, we saw that many new cell towers and booster masts had gone up in our absence. Bird populations continue to diminish. In addition, many trees are now dying. Pine trees are turning brown and drying up. Olives, cypresses and poplars are dying, as are fruit trees. Other trees show damage: parts of the trees which face cell towers are discoloring or losing their leaves and dying. Research shows that radiation from wireless technology can have this effect. 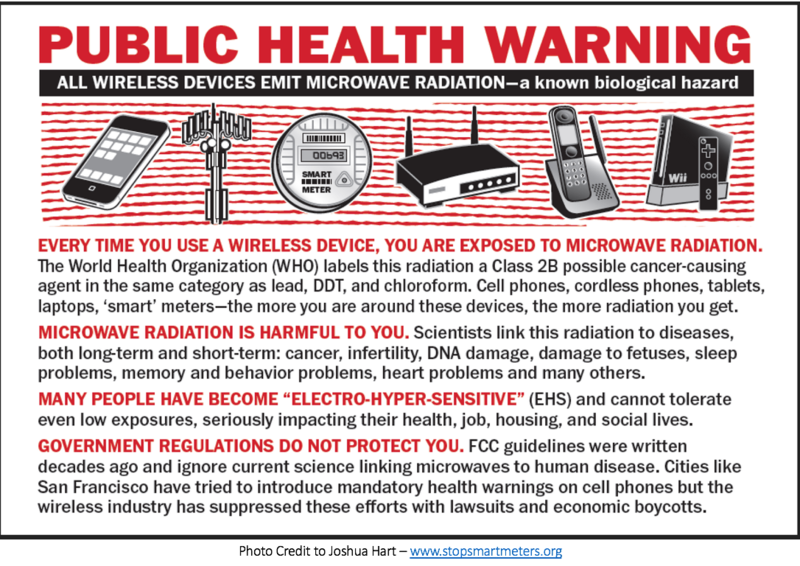 Studies on the effects of electromagnetic radiation from wireless technology demonstrate that sustained exposure has negative consequences for all life. The World Health Organization currently classifies such radiation as Group 2B, possibly carcinogenic to humans. This puts it in the same category as lead or DDT, both of which are highly toxic to birds. Recently, longtime WHO advisor and cancer researcher Dr. Anthony B. Miller stated that radiofrequency radiation from any source (including cell towers and wireless devices) meets the criteria to be reclassified as Group 1, carcinogenic to humans, based on scientific evidence of studies done since 2011. Many other scientists agree. For birds, an environment full of electromagnetic radiation from cell towers is habitat destruction comparable to widespread pesticide use or the loss of wetlands and forests. With the advent of boosted 3G, 4G and 4G+ wireless communications, birds and trees are rapidly disappearing from the Greek landscape. Telecommunications companies plan to launch 5G in 2020. 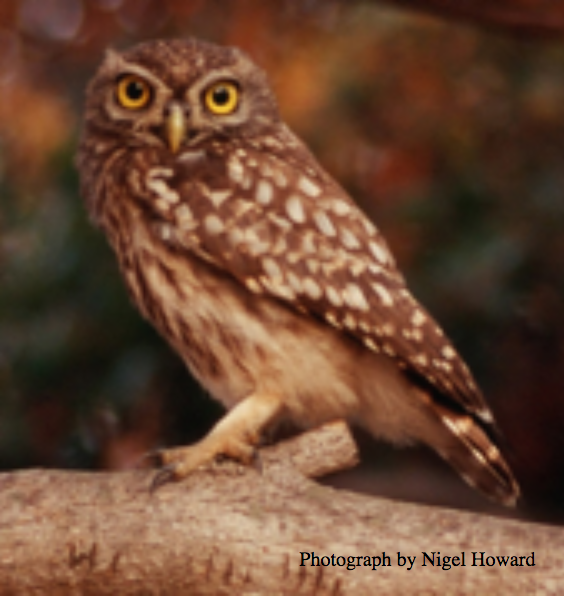 If all continues as planned, the consequences will be catastrophic for birds and trees in Greece.